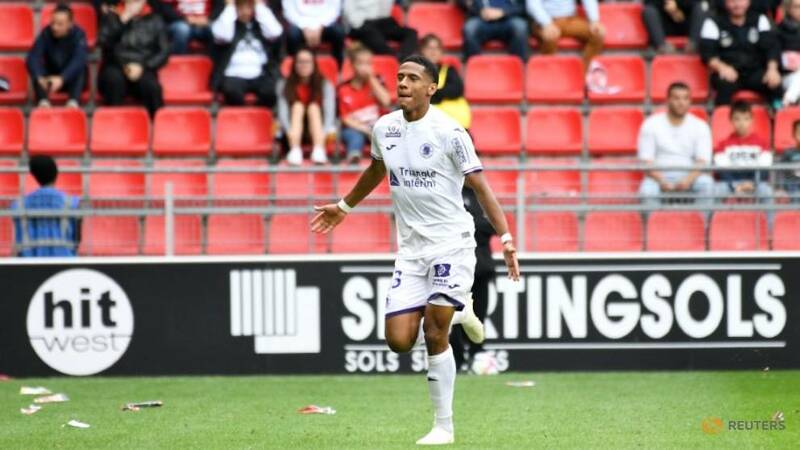 Barcelona brought forward the signing of teenage defender Jean-Clair Todibo from Toulouse by six months in order to prevent him losing his competitive edge after being discarded by the French club, sporting director Eric Abidal said on Friday. Todibo, 19, completed his signing to the La Liga champions on a four-and-a-half deal on Thursday, having initially agreed to move to Barcelona at the end of this season when his contract with Toulouse expired. The defender made his first-team debut for Toulouse this season and made 10 Ligue 1 starts but has not played any competitive football since Nov. 3, when reports began to emerge that Barcelona and other clubs were trying to sign him. "He has arrived now because we had to protect him, his situation at Toulouse was not good and it was important to bring him now so he can grow in our club," Abidal said at Todibo's presentation. "We're here to help him as much as possible, he has been a long time without playing. We couldn't leave him for six months without playing." Spanish media reports said Barca paid Toulouse around 3 million euros (2 million pounds) including bonuses for Todibo and have put a 150-million-euro release clause in his contract. Todibo's arrival means Barca have a total of six centre backs in their first-team squad. Although Todibo is the team's least inexperienced player, Abidal ruled out putting the youngster in the team's reserve side. "He has a first-team contract and we think he will only play for the first team," added Abidal. "He can play in diverse positions, he's good in the air, calm on the ball and young. He's a key player for our future. He has only played 10 games but when you see him in one game you'll realise he's the right player for us." Todibo has been given the number six shirt which used to be worn by midfield great Xavi, Barca's all-time top appearance maker.